On the 11th we went down into Northumberland, the Northern Border territory (territory the right term?). 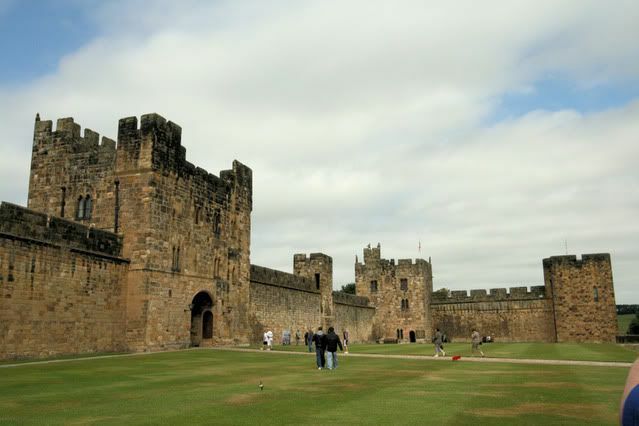 We went Alnwick Castle (pronounced an-ick). 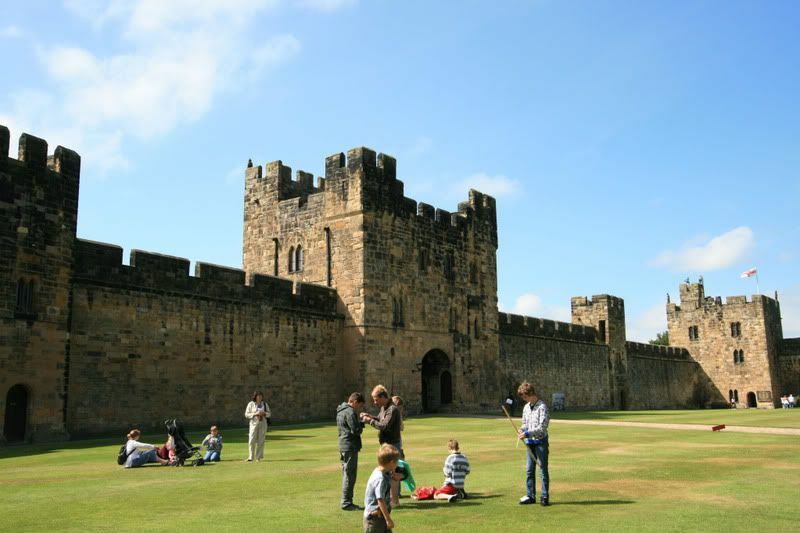 Alnwick Castle is the filming location of the first two movies! So much was filmed there! For the posts that include Potter locations, I will try to post a screencap from the movie. 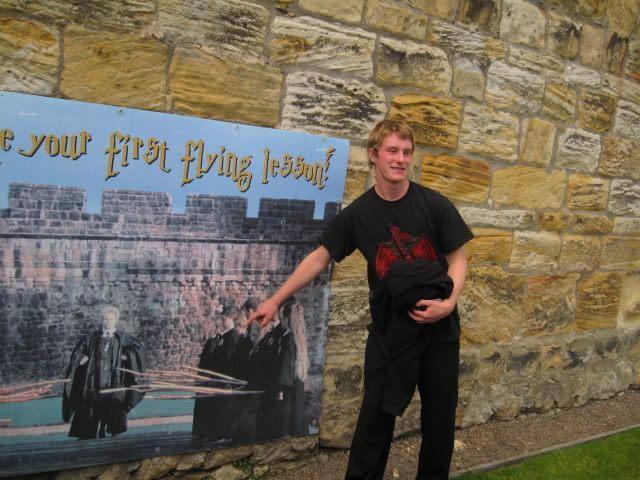 Flying lessons! There was a poster of that image against the wall. 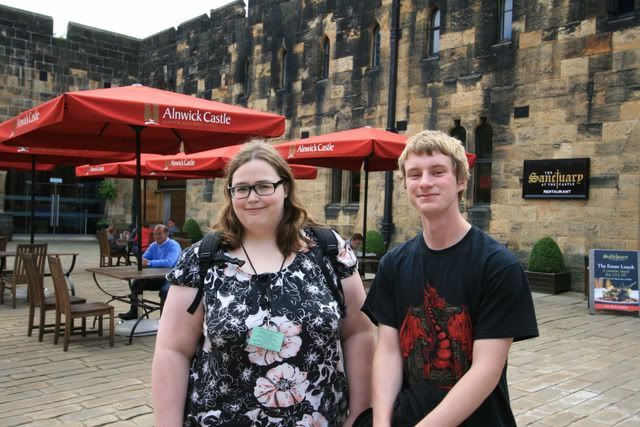 With Luke (Malfoy body double). He kinda looks like Luke Skywalker actually..and my arms got sooo burned from Paris! You should have brought Luke home with you as a souvenir, he's so cute! You do look burned, silly lobster girl!